Amid all of the furore and hyperbole surrounding the issue of the UK speed limit it is good to hear that an ex Formula 1 driver got involved in the debate. When I saw the headline I thought, “Brilliant, Nelson Piquet is sure to tell them that 150mph is a good choice of speed limit”. 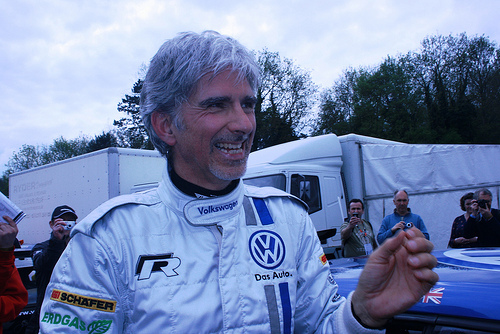 Sadly, it wasn’t the Brazilian star who spoke up but rather Damon Hill. It turns out that Hill offers the voice of reason on this matter. Instead of telling us all to rip up the motorways in a daredevil manner he wants us all to, well, slow down actually. Believe it or not, the ex F1 driver thinks that 70 mph is too fast for most of us. According to the ex BBC Sports Personality of the Year, 55 mph would be a sensible choice of speed limit on the British motorways. Why? Because most people don’t drive well enough to go any faster. He states that the roads in the UK are “dangerous” and that the mere idea of an 80 mph limit made him “shudder”. 55 mph, which is the legal limit in different regions of the US, might seem incredibly low if you are used to 70 but he did have some decent reasoning to back up his theory. The winner of 22 Grand Prix races often whizzed around tracks at 200 mph but he quite rightly pointed out that drivers in competitions need to be fully focused, while many of us drive while thinking about other things. Hill, now 51, said that he drives a decade old Golf, doesn’t go above 70 and is worried about his kids starting to drive. He states that he isn’t really a huge car fan at all, although his son Joshua has recently set out on his own racing career. This entry was posted in Formula 1, News and Views and tagged Brazil, car, Damon Hill, Golf, Grand Prix, LS, LV, MoT, Nelson Piquet, speed, Speed Limit, Sport, UK, US by Robert Bell. Bookmark the permalink.